Do I have Duty to Stop and Render Aid After a Car Accident? What Are My Duties Following a Car Accident? 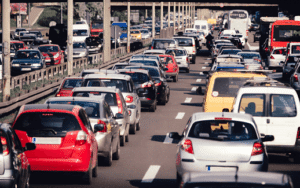 If you plan to commute in any major city in Texas, you need to have a good understanding of your duties when you get involved in an automobile accident. Your obligations depend upon a few things. First, were you a driver or a passenger? Second, were there any injuries or just vehicle property damage? Being familiar with your duties and when they apply will make you a more prepared driver. Below are several duties following a car accident all drivers should be familiar with. Do I Have Duty to Stop and Render Aid if Someone is Injured? See Texas Transportation Code Sections 500.021 and 550.023. Failure to stop and render aid by a driver involved in a motor vehicle collision may result in criminal penalties of a third-degree felony if someone dies due to the collision, a second-degree felony if there is a severe injury or a year in jail and/or up to $5000.00 fine for accidents involving non-severe injuries. If you are a passenger or an eyewitness, you do not have a duty to stop and render aid. There is no good Samaritan law in Texas mandating that witnesses render aid, even in emergency situations unless they are trained medical/emergency professionals. Do I Have Duty to Stop if Nobody is Injured? Under the Texas Transportation Code, you have duties that arise if you are the driver of a vehicle involved in a collision. These duties are different depending upon whether the vehicle you collide with is moving or parked. What Duty Do I Have After A Moving Collision Involving Only Property Damage? See Texas Transportation Code Sections 500.022 and 550.023. Furthermore, if the accident occurs on a main lane, ramp, shoulder, median, or adjacent area of a freeway in a metropolitan area and each vehicle involved can be normally and safely driven, each operator has a duty to move their vehicle as soon as possible to a designated accident investigation site, if available, a location on the frontage road, the nearest suitable cross street, or other suitable location to complete the complete (1)-(3) above while minimizing interference with freeway traffic. Failure to stop following an accident involving property damage only is a Class C misdemeanor if the damage is less than $200.00 and a Class B misdemeanor if the damage is $200 or more. It is also a Class C misdemeanor if the people can but fail to move the vehicles to a safe area to exchange the required information. Again, if you are a passenger or an eyewitness, you do not have a duty to stop. Do I Have a Duty to Stop if I Hit a Parked Car? Failure to do the above following an collision with an unattended or parked car is a Class C misdemeanor if the damage is less than $200.00 and a Class B misdemeanor if the damage is $200 or more. See Texas Transportation Code Section 550.024. An eyewitness or a passenger has no duty in this situation. Do I Have a Duty to Give a Recorded Statement to the Other Driver’s Insurance Company? No. You are not obligated to nor should you give a recorded statement to the insurance company for the other driver. Remember, the other driver’s insurance adjuster has his own insured’s best interests at heart. You have the right to speak to an accident attorney before agreeing to give any kind of statement to you. Any statement you do give can and will be used against you. If you would like a free consultation with one of our car accident lawyers, please feel free to give us a call toll free at 1-800-298-0111. Know your rights before you do something to damage them!